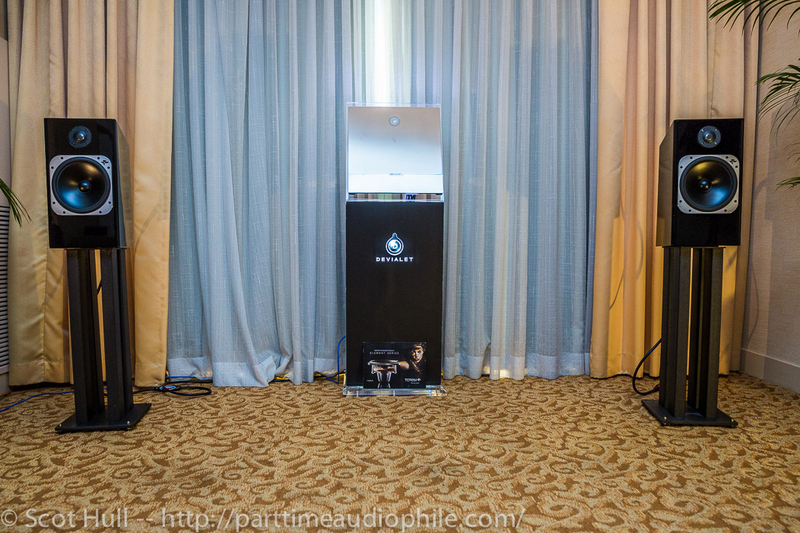 One of the few New York City dealers that chose to show here at the New York Audio Show, Stereo Exchange, brought the entry-level Devialet 120 integrated amplifier ($6,495) and a pair of Totem Acoustics Fire loudspeakers ($6k/pair). 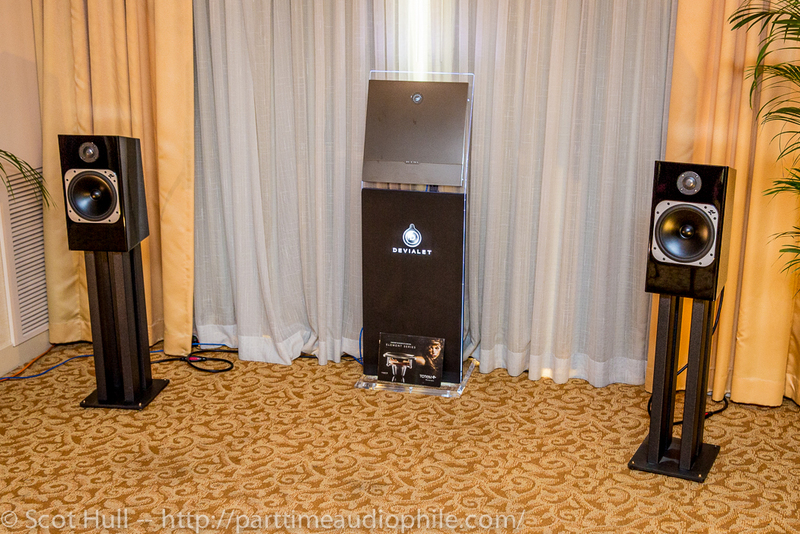 Like most Totem setups I seem to find, these were bi-wired, here with Transparent Audio’s MusicWave speaker cables. This was a very deceptive setup. 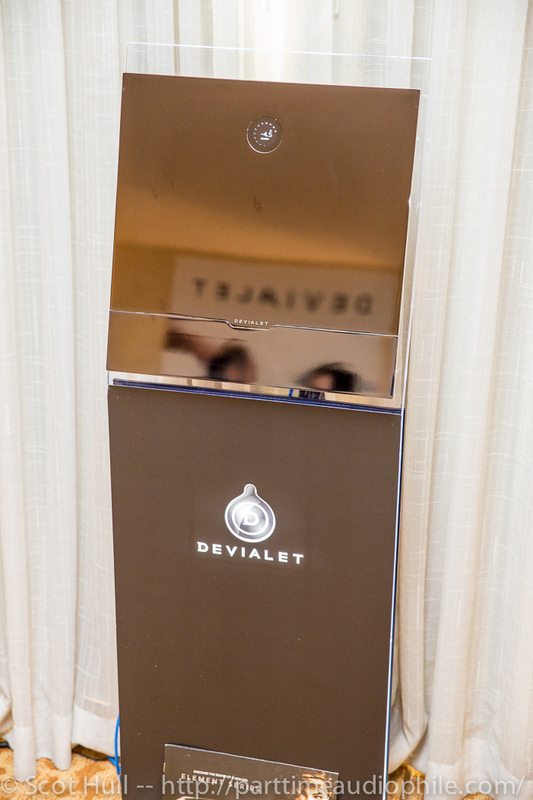 The Devialet was leaning upright, like a mirror on a podium as if it were inviting the (admittedly, shorter) attendees to come up and make adjustments to their coiffure. The minimalism of the approach was almost breathtaking — gone were the monster mono amps, the hulking preamp, the disc spinners, and the usual accretion of audiophile accoutrements. Instead, there was this mirror thing. 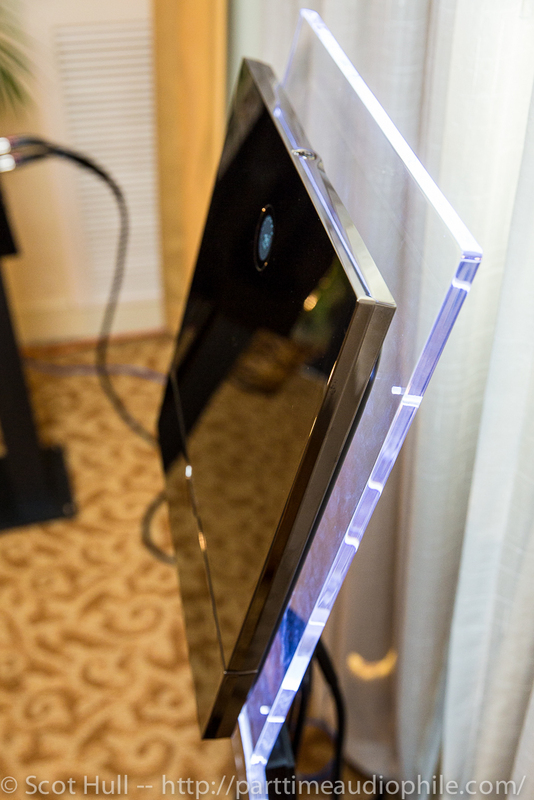 And by “mirror”, I really do mean it — the finish is quite reflective and the whole thing is about 1″ deep. Nifty, says I. As for the sound of the little-big Totems, I was shocked. Totem is the brand I grew up with, well, kinda-sorta. 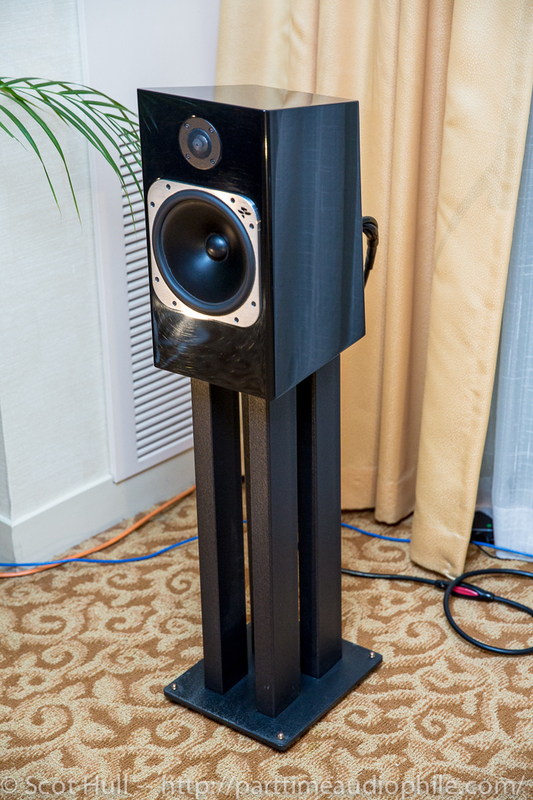 My first “audiophile” speakers were a pair of hand-me-down Forests. I remember the big, woody, wooly sound that those bad boys threw into my living room, and I remember rocking out pretty hard. These new speakers, from the Elements Series, are not like that. The speakers feature a big 7″ driver and 1″ tweeter. 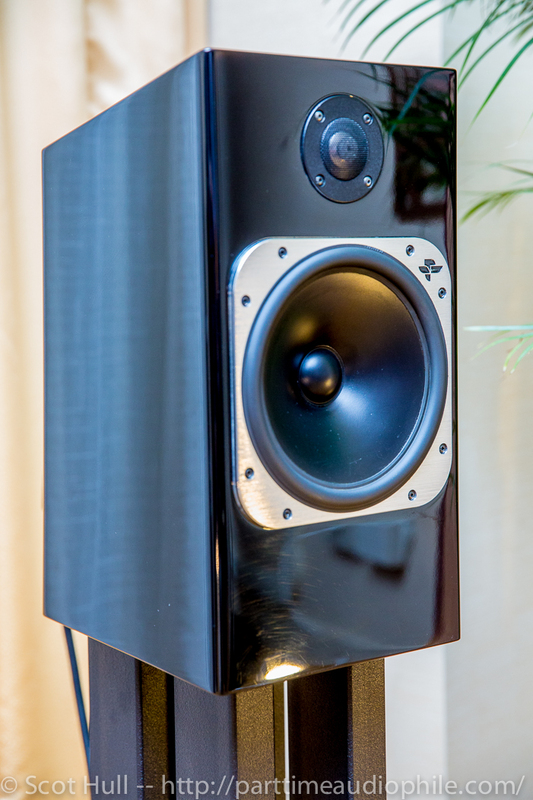 The sound, with that complement of drivers, is unapologetically big-sounding and instead of scratching my head at the apparent high-cost for a Totem speaker, I found myself muttering “Huh. 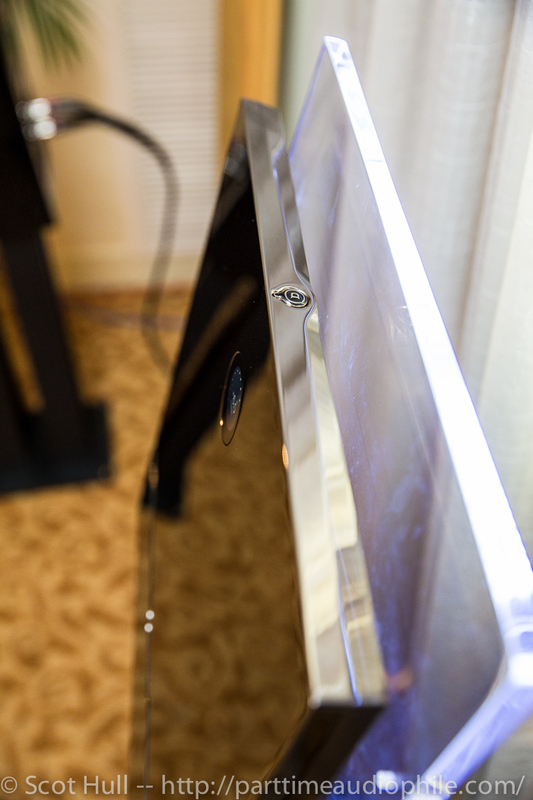 Well, alrighty then.” Aside from the obvious lack of the deepest bass (they’re only rated to 40Hz), the sound of these little stand-mounts in this hotel room was quite fitting, and quite room-filling. Alrighty then! The Devaliet is a bit more of a black-box to me. 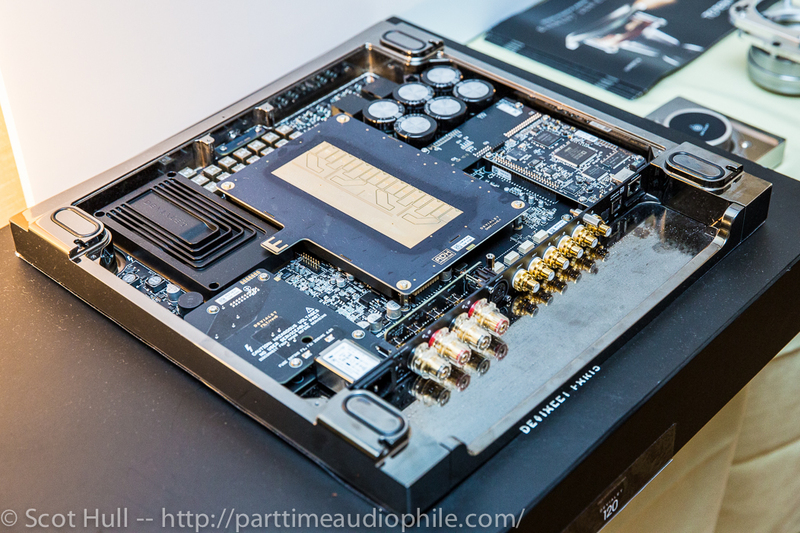 It’s an integrated, it’s an asynchronous USB and wireless streaming DAC. 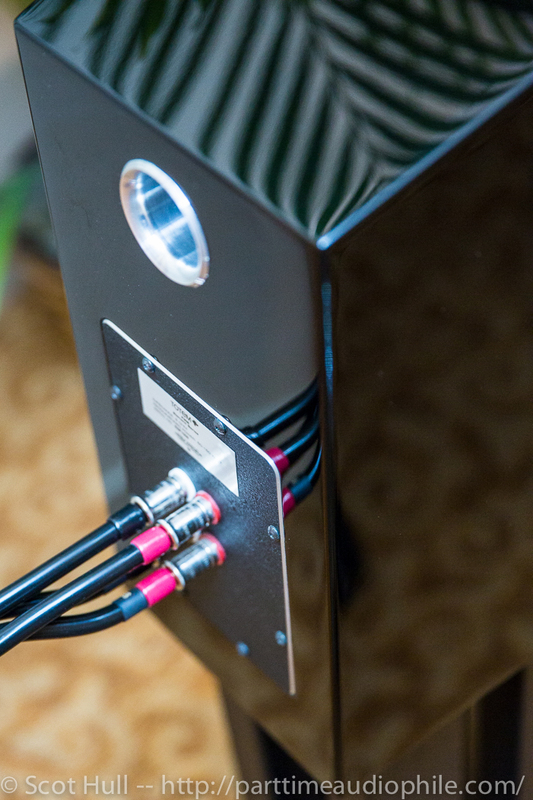 120watts of “hybrid” Class A/Class D amplification. John Atkinson has provided an excellent description of how the system works, so I’ll defer to that. 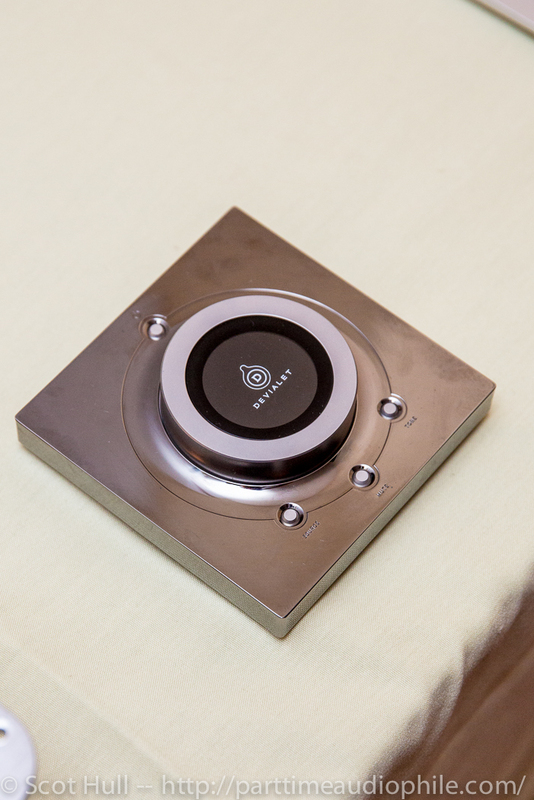 More information on the Devialet 120 can be found in Michael Lavorgna’s review on Audiostream. All in all, this was a very impressive demo.